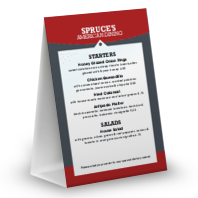 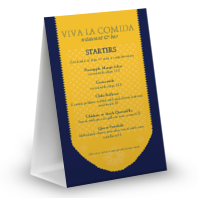 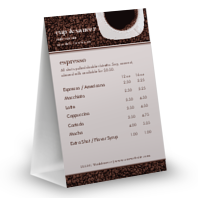 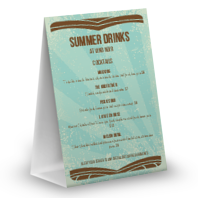 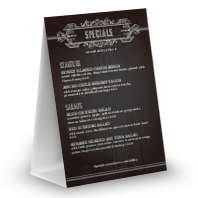 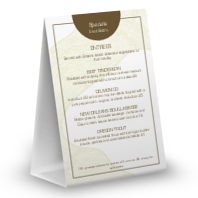 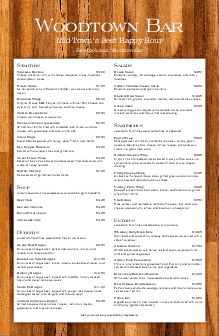 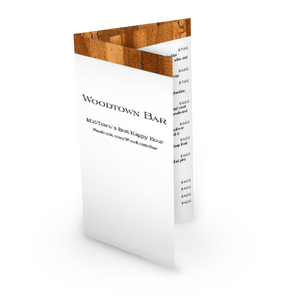 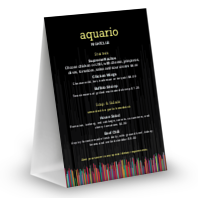 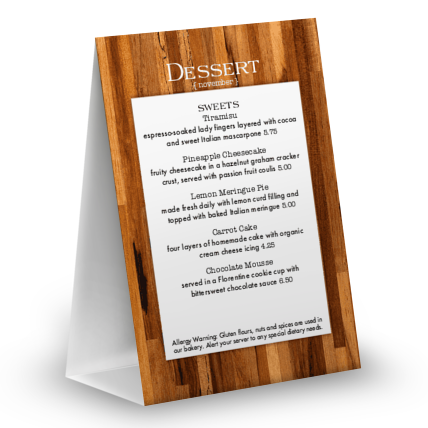 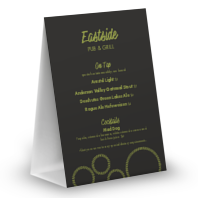 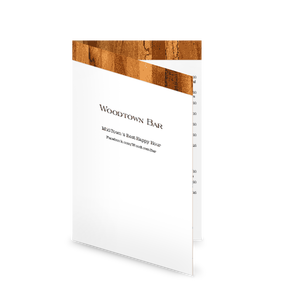 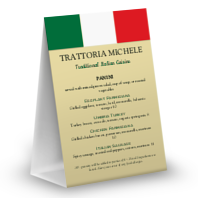 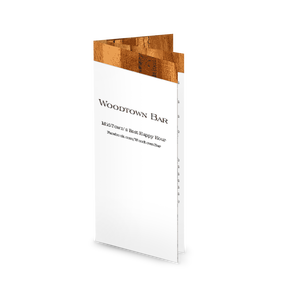 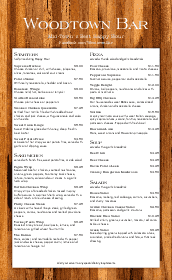 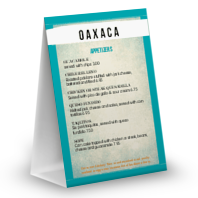 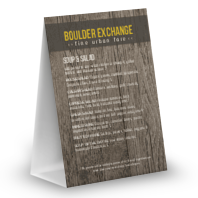 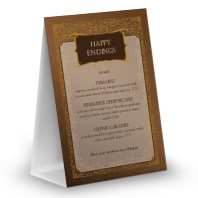 A table tent menu template offered in two sizes with a rustic woodgrain design. 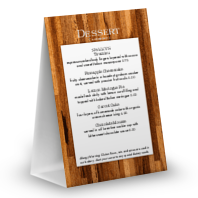 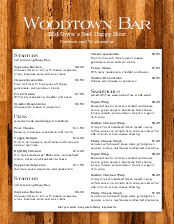 Vertical wood planks in rich browns frame a white box of desserts, drinks, or dinner specials. 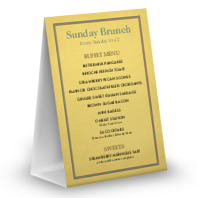 Monospace typewriter fonts set a modern tone.